Will Korea lead winning streak the ANA Inspiration? Will Korea lead winning streak the ANA Inspiration?. March. 29, 2018 08:13. by Jong-Seok Kim kjs0123@donga.com. The ANA Inspiration, the LPGA's first major championship of the year, will open on Thursday at Mission Hills Country Club in Rancho Mirage, California. The winner will follow the tradition of jumping into Poppie's Pond at the ANA Inspiration next to the 18th green. Twenty-three Korean players will participate in the competition. Major points to watch out for the tournament focusing on the number “three” are as follows. ○ Again 2017: Korea produced three champions in last year’s major LPGA championships. 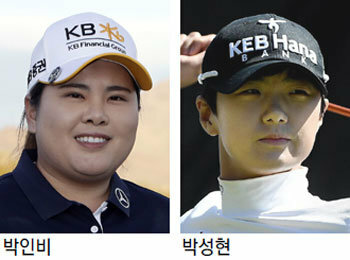 Ryu So-yeon won the ANA Inspiration, Park Sung-hyun of the U.S. Women’s Open, Kim In-kyung of the British Women’s Open. Thus getting good results in the first competition is important to acquire more than three winning titles in the majors. ○ A 50 percent chance of winning: Korean players achieved three wins in six competitions this season. Ko Jin-young, Park In-bee and Ji Eun-hee joined the winner’s circle. Trophies for the remaining three majors were won by American players. Whether Korea will win the United States for this season will be of key interest. ○ Second year jinx? In the KIA Classic held last week, Park Sung-hyun failed to enter the third round and headed to the ANA Inspiration. Known as the super rookie of 2017, Park had never missed a cut for the past 33 LPGA tournaments but failed for the first time at the KIA Classic. Brushing aside fears of a slump due to putting difficulties, Park is determined to reverse the game at a larger competition. ○ Players in 30s go strong: The LPGA tournaments of this year have been dominated by three players in their 30s, which takes up half of the winners. After the victory of Britney Lincicome, the title also went to Park In-bee and Ji Eun-hee. The average age of the three winners was 28.7 years. This pattern contrasts with last year, when the title was acquired by winners around mid-twenties. It is curious whether the “veteran” athletes will successfully leverage their experience and cutting-edge equipment to overcome their relatively weaker driving distance in more tricky courses. Park In-bee, in particular, is aiming to win back the title in five years.